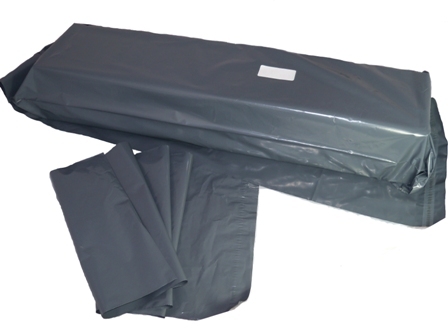 ﻿ Grey Mailing Bags 12" x 36"
Home » Grey Mailing Bags 12" x 36"
Strong and long size grey mailing postal bags, size 12"x36" (300mm x 900mm) with 40mm 'peel & seel' lips. Perfect for mailing your long items and thin at a very cost efficient price, and extremely popular for postal and courier distribution. Popular for use with umbrella's, golf clubs etc. Also known as courier bags or mailing sacks, these are widely used by posthouses, marketing centres, online distributors, ebay and amazon sellers etc. All the mailing bags we stock are 100% opaque, meaning that items are not visible through the material once placed inside.